The Kellett Hotel is a stylish, modern and fully refurbished boutique hotel. We are within walking distance to Doncaster town centre and yet removed from the hustle and bustle which lends a more relaxing atmosphere regardless of whether your needs are for business or leisure. The Kellett Hotel is conveniently located for easy access onto the A1M and M18 Motorways for onward travel to Sheffield, Rotherham and surrounding areas. As the Kellett Hotel is only 15 minutes drive from Robin Hood Airport, it offers a great overnight stay option for those who need to fly out early. All our rooms were decorated to visually take you to the races! All rooms are ensuite and contain rain and power showers, HD resolution flat screen TVs, USB wall sockets, tea and coffee making facilities, complimentary toiletries, hairdryers, feather duvets and comfortable beds. Free private parking is available to our guests at the rear of the Hotel. 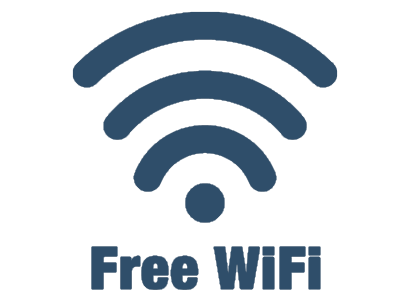 Free high speed WiFi is available throughout. As part of our commitment to maintaining a sustainable environment, our relaxing coffee bar only serves 100% sustainably sourced coffee and our breakfasts contain locally sourced produce whenever possible. The Kellett Hotel is situated less than: - 10 minutes walk to Doncaster town centre and its award winning markets - 1 mile to Doncaster Racecourse - 1 mile to The Dome - 3 miles to Keepmoat Stadium - Robin Hood Airport is a 15 minute drive away and motorway links are 5 minutes away. Other attractions nearby: - 0.6 miles to the Doncaster Museum and Art Gallery - 15 minutes walk to Frenchgate Shopping Centre and Doncaster Rail Station - 2 miles to the South Yorkshire Aircraft Museum - 3 miles to Lakeside Village Shopping Centre - 3 miles to Cusworth Hall - 4 miles to Ashworth Barracks - 5 miles to the Yorkshire Wildlife Park - 7 miles to Brodsworth Hall and Gardens - 7 miles to The Vulcan Experience We aim to please and look forward to welcoming you to the Kellett Hotel!